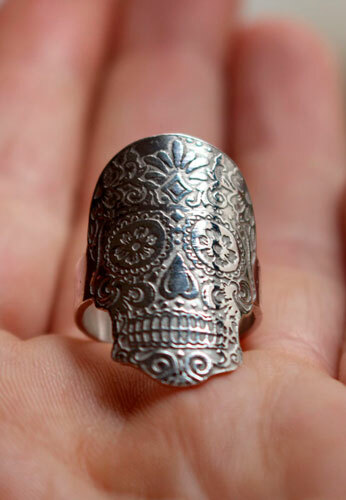 This Latin inspired ring represents a stylized skull. 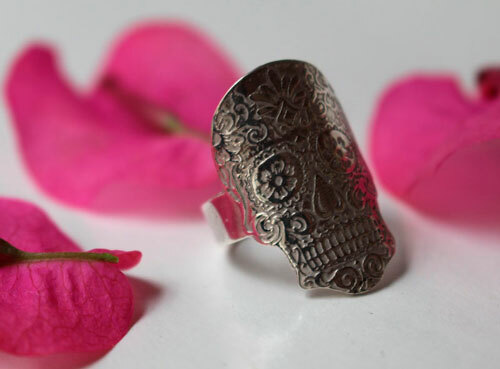 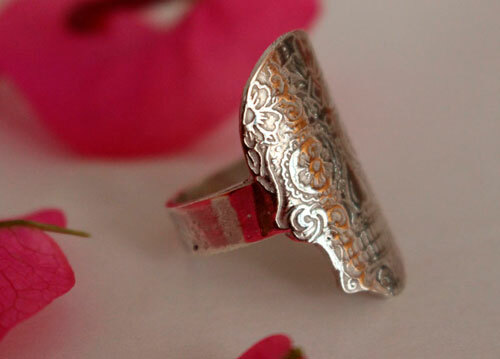 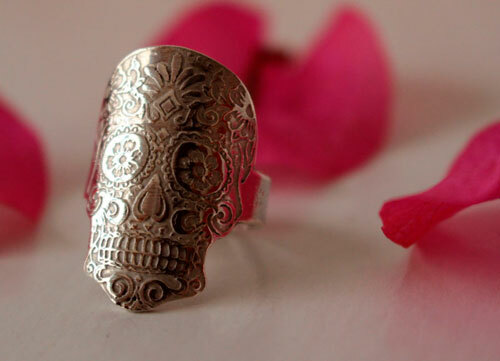 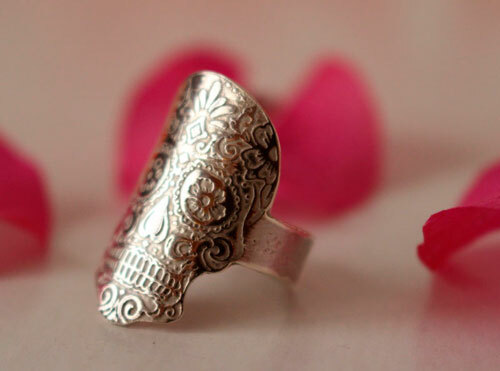 Mexican sugar skull is largely inspired the design of this not so usual type of ring. 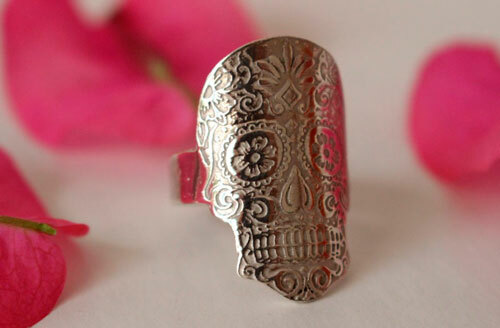 If you like flower skulls, this ring will be the perfect accessory for your outfits. 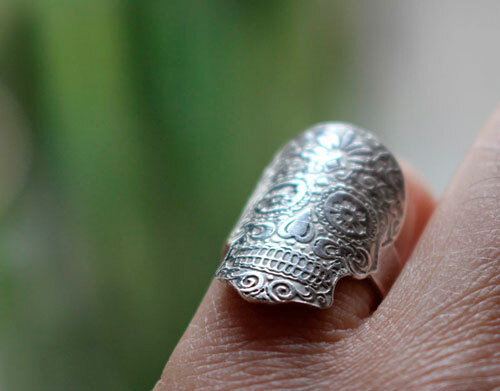 Width of the skull: 2,4 cm. 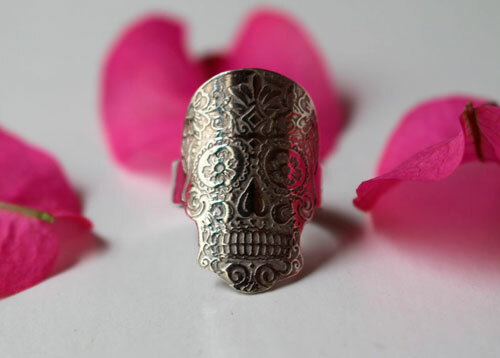 Tag: ring, silver, skull, sugar skull, Mexico, folklore, Latino, engraving, flower, day of the dead, tradition, wedding ring, engagement ring, baptism, wedding anniversary, Mexican.